Anomalous left coronary artery connected to the pulmonary artery (ALCAPA) can be associated rarely with other congenital heart defects. The preoperative joint diagnosis is challenging. From 1987 to 2012, a retrospective bicentric assessment of 12 patients with ALCAPA related to other cardiac defects focused on the associated heart defect, the moment of complete diagnosis related to surgery, and outcome. Coarctation was the most frequently associated heart defect (n = 5) followed by tetralogy of Fallot with or without pulmonary atresia (n = 3). The study group comprised one case of hypoplastic left heart syndrome, one right aortic arch, one congenital mitral malformation, and one infant with divided left atrium and anomalous pulmonary venous return. Only four patients had a complete diagnosis of both the cardiac defect and the coronary abnormality before surgery. In two cases, the coronary anomaly was discovered during surgery performed for another cardiac defect and treated at the same time. The diagnosis of the six remaining patients was determined after cardiac repair. Of the 12 patients, 7 (58 %) died after surgery. Half of these patients died within the first 30 days after repair. At this writing, the remaining patients are in good health after a median follow-up period of 5.4 years (range, 2.1–8.5 years). This study confirmed that ALCAPA associated with other cardiac defects often is misdiagnosed before surgery, mostly due to specific hemodynamics masking myocardial ischemia preoperatively. Survival was compromised due to the unrecognized diagnosis of an associated coronary abnormality but also because of midterm complications related to the other cardiac defects. 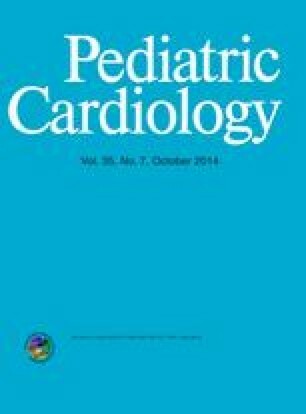 The authors thank Dr. Francesca Raimondi, a staff member of the Department of Pediatric Cardiology at Necker Enfants Malades Hospital for providing the computer tomographic images of the patients.